To work in sport, you need to understand how the human body works. By taking this course, you’ll develop as an interdisciplinary sport and exercise scientist who understands that athletic success is not based on any single factor – and that will equip you to create strategies that work. Physiology, biomechanics, psychology and nutrition – you’ll cover it all. You’ll also have the opportunity to gain coaching awards and fitness qualifications by taking vocational training courses. Why study Sport and Exercise Science at LSBU? Our staff are experts – their applied research supports elite athletic performances and healthy lifestyles. LSBU's Academy of Sport has a customer satisfaction rate of 84.5%, UKCSI Business Benchmark Survey. We’re endorsed by the Register of Exercise Professionals. Become a qualified Gym Instructor whilst you study. Sports scholarship, training and development available for elite athletes. Specialist facilities including biomechanics, physiology and gait analysis laboratories. Top 3 for graduate prospects amongst London competitors in Sport (Sunday Times 2019). Coming to university through Clearing gave Daniel Walters a second chance to pursue his passion for sports and science – while winning silver at the Commonwealth Games. On this course you’ll gain the scientific knowledge and develop the skills that will help you maximise potential for success in all kinds of athletes. You’ll take part in practical activities to study the science behind exercise and sport performance, including physiology, biomechanics, psychology and nutrition. You’ll also have the opportunity to gain coaching awards and fitness qualifications by taking vocational training courses. This module will develop your knowledge and understanding in anatomical language and human anatomy of the musculoskeletal system, as well as the physical and chemical principles that underlie physiological functions and metabolic processes. The concept of integration and control in physiology will be developed, beginning with the study of cell membrane function and leading to an appreciation of human physiology through an understanding of systems. Assessment method: 100% coursework. This module is intended to introduce you to the main topic areas in perceptual-motor control, development, learning and performance. It will provide you with the opportunity to gain practical experience in exercise, sport coaching and exercise settings, and gain an understanding of how the sport sciences can be applied to practical activities. This module also aims to introduce you to effective reflective practice techniques. Assessment method: 100% coursework. This module will provide you with a foundation for the study of science at undergraduate level. The basis for the module will be the context, planning and execution of experimental work, along with analysis and presentation of experimental data. A substantial component of study will involve activities in effective written communication and the writing of laboratory reports in particular. Assessment method: 100% coursework. This module will introduce different approaches of psychology and the study of the psychological aspects in exercise and performance. It will cover some theoretical approaches and methods of scientific enquiry. It will also include the application of psychological methods in the development and optimisation of sports performance and exercise participation. This module will provide you with many examples of sport and exercise psychology in action. Assessment method: 100% exam. This module will familiarise you with the fundamental principles of human nutrition as a multidisciplinary perspective relating to human health and well-being. You'll explore key concepts of nutritional requirements, food chemistry, macro and micro-nutrient functions. You'll also explore the relationship of diet to health, with special reference to over and under nutrition states. You'll examine dietary recommendations for the maintenance of health and well-being, and you'll consider the assessment of food intake in this context. You'll review the factors determining food choice, and you'll explore the role of nutrition in the context of physical activity. Assessment method: 100% coursework. This module will extend your knowledge of human anatomy and the musculoskeletal system, whilst introducing the basic biomechanical concepts and terminology required to analyse skilled and common movement patterns. This module will provide a clear understanding of the internal and external forces that act on the body, which you use to develop a comprehensive understanding of performance determinants. Assessment method: 100% coursework. This module is designed to develop your application of interdisciplinary scientific principles and evidence-based practice associated with perceptual-motor skill development and performance. Specifically, you'll become proficient at evaluating practice with systematic procedures and engaging in reflective practice to recommend improvements in the development of perceptual-motor skills. You'll also learn to analyse the interdisciplinary performance demands associated with perceptual-motor skills and devise innovations to improve its development or performance. Assessment method: 100% coursework. This module is intended to develop your understanding of sport and exercise psychology. The module has been designed to advance your knowledge of theory and practice in the psychological preparation of sport performers, and as such will integrate the notions of research informing practice and practical experience informing research. Assessment method: 100% coursework. This module has been designed so you can apply your knowledge of biomechanics to the practical element of analysing human movement. You'll develop awareness of the available equipment, techniques, and methodological considerations involved with biomechanical analyses. At the end of this module, you'll be able to conduct a biomechanical investigation and link your understanding of Newtonian principles to sporting performance. Assessment methods: 50% coursework, 50% exam. This module will develop your knowledge and understanding of the nutritional requirements of athletes and the metabolic responses and adaptations to acute and chronic exercise. In particular, it will focus on fuel utilisation during endurance, and explore the nutritional requirements of different ‘athlete types’. The module will also reference evidence supporting the use of nutritional strategies in optimising performance and training. Assessment method: 100% coursework. This module is intended to develop your understanding of the research process in the area of applied human sciences. It will provide you with knowledge about main research principles and methodologies for data collection and analysis. You'll gain practical experience in developing a research proposal and analysing data with parametric and non-parametric statistical methods, using both MS Excel and IBM Statistical Package for the Social Sciences (SPSS). Assessment method: 100% coursework. This module will develop your knowledge of exercise physiology and a range of the laboratory procedures and skills used in the assessment of athletic populations. Building on the physiological knowledge developed at Level 4, the module will cover the acute and chronic responses to both high and low intensity exercise. It will also develop your ability to explain the fundamental factors that determine muscle strength and power as well as agility and quickness. The module will focus on the responses of the key physiological systems that support exercise performance and the design of training programmes to optimise improvement and minimise or delay fatigue. Assessment methods: 50% coursework, 50% exam. This unit will develop your ability to have a clear understanding of the functional mechanics of the body and the biomechanical underpinning of injury mechanisms. It will provide an opportunity to gain in-depth knowledge of the functional properties of a dynamic musculoskeletal system and subsequent mechanisms of injury. These include muscles, bones and soft tissue behaviour. You'll critically evaluate the concepts, theories and applications underpinning soft tissue, tissue damage, muscle mechanics and mechanical models, bone, cartilage and load bearing capacity, and clinical gait analysis. Assessment methods: 60% coursework, 40% exam. This module will provide you with an opportunity to plan, carry out and report an extended piece of research in sport or exercise science. You'll be assigned a research topic from a list supplied by members of academic staff, according to preferences that you specify. The topic list will cover the major disciplines in sport and exercise science. You may also have the chance to carry out a project that you'll propose yourself, subject to appropriate forward planning and supervisory support. Assessment method: 100% coursework. This module will help extending theory and research into the field to apply sport psychology into practice. You’ll learn to facilitate optimal involvement, performance, and enjoyment in sport and exercise. It will enable you to apply psychological principles of human performance in helping athletes consistently perform in the upper range of their capabilities and more thoroughly enjoy the sport performance process. This module is designed to develop your understanding of the role of nutrition and technological aids in optimising performance in different environments. You’ll critically evaluate the use of nutritional supplements and new technologies to support athletes in optimising their training and performance. Sports and Exercise Science uses scientific principles and techniques to enable people, from Premier League footballers to those using the gym once a week, to perform to their optimum performance level. This course opens up many careers, from coaching and personal training to going into teacher training. You could also work on exercise referral programmes within clinical environments, rehabilitation programmes, corporate fitness initiatives or human science research. Make best use of all the opportunities we’ll give you for vocational training courses through Sports Coach UK and national sport governing bodies. The Academy of Sport also runs a Sports Ambassador Scheme, where students can volunteer or be employed by the University to deliver sports coaching, fitness and mentoring sessions across London. Recent graduates have gone onto jobs such as cardiac rehabilitation physiologist, exercise therapist, sport science consultant, childhood obesity programme coordinator, technical representative for physiological/mechanical analysis equipment, and international sales manager for exercise science equipment. 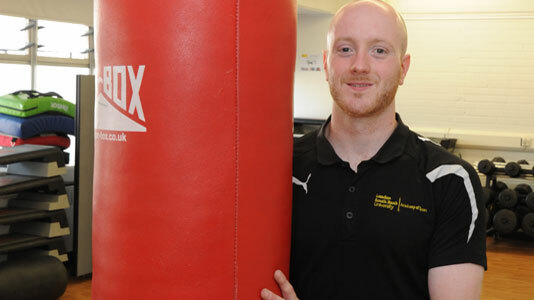 Others (like alumnus Daniel Walters) have developed their own sports-related businesses, or have taken postgraduate teacher training qualifications. Every year a professional panel is invited to speak with the students about the career paths they took following their graduation and are invited to make internships and placements available to our students. Our undergraduate degrees are endorsed by the Register of Exercise Professionals (REPs). Upon completion of the first year plus one assessment you'll be awarded an LSBU gym instructor qualification that provides access to the Register of Exercise Professionals at Level 2. The Register of Exercise Professionals (REPs) is an independent public register which recognises the qualifications and expertise of health-enhancing exercise instructors in the UK. Mario's areas of teaching are: Sport Coaching and Analysis, Sport and Exercise Science, Sports Pedagogy and Coaching Methodologies. His research interests are in sports coaching, coach behaviours, coach expertise, coach education, learning and professional development. 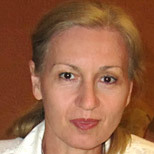 Rita is a Senior Lecturer for BSc (Hons) Sport and Exercise Science. Background in human movement science and psychology, focusing on developmental disorders of coordination, embodied cognition, driving, and performance optimisation. 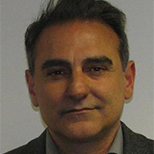 Dr Gaspar Epro is a post-doctoral Research Fellow at the School of Applied Sciences (Sport and Exercise Science Research Centre) at London South Bank University (LSBU). Steve is a Senior Lecturer, Subject Group Leader in Sport and Exercise Science, and Head of the Division of Human Sciences. 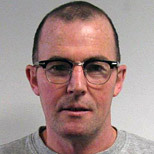 Darren James is a Senior Lecturer in Biomechanics and member of the Sport & Exercise Science Research Centre (SESRC). 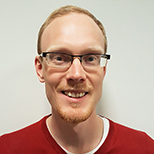 Kiros is Professor of Ageing and Exercise Science at the School of Applied Sciences and his main research interest is focused on the plasticity of the musculoskeletal system in response to exercise. 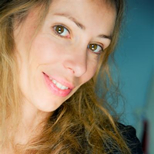 Katya's main research focuses on the neurophysiology of movement with particular emphasis on the neuromuscular and cardiovascular effects of physical activity and agents, as well as on electrophysiological signal processing. Lisa is a Research Fellow with the Sport and Exercise Science Research Centre. 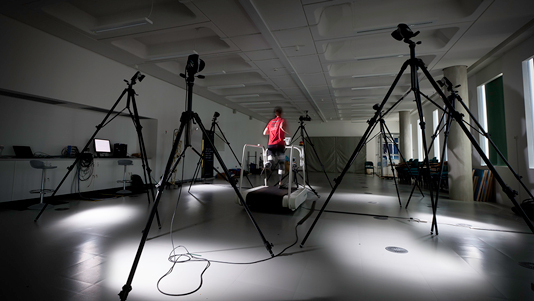 The Sport and Exercise Science Research Centre (SESRC) has access to sophisticated equipment which enhances research activities, and is where some of your classes will take place. You can take a virtual tour below. You'll have access to a range of facilities and equipment within the Academy of Sport at LSBU, including a fully equipped fitness suite with SMART Centre Technology, a Functional Training Zone, Free Weights Room and Sports Hall. The Academy of Sport has been recognised nationally for its high standards of excellence, receiving a customer satisfaction rate of 84.5%, from the UKCSI Business Benchmark Survey. You can take a virtual tour below, or visit our Academy of Sport pages for more information. Year 1 class contact time is typically 15 hours per week plus individual tutorials and independent study. Our impressive research record means that teaching is informed by current, cutting-edge research, and because we have a focus on applied research, you can apply your learning to real world settings. We will support you throughout your studies. The University provides all students access to the virtual learning environment, Moodle, so materials and online support are available when you need them. 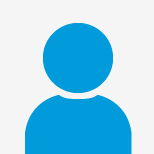 We provide one-to-one support via our professional tutoring system. Your tutor will help you understand coursework feedback, offer guidance as you plan your career, and advise you on work experience to ensure you get the most out of the course. Teaching is also supported through seminars, online learning environments and specialist advice sessions for topics such as statistics and research methods. In addition to the facilities provided by the university, our laboratories have dedicated computing and experimental equipment. In your first semester you will attend a series of weekly personal tutor group sessions to introduce you to elements such as the module structure and the Moodle site, as well as workshops on assessment expectations. After the first semester you will have a minimum of 2 personal tutor meetings per semester and there will also be weekly drop in sessions/assessment tutorial appointments.